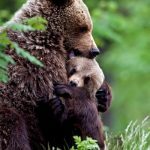 When I hear those words, I imagine the inviting arms of a big loving mama bear wrapping around me—come rest in here for a while, let the burdens lift off your shoulders, release the worries from your troubled mind. Everything is alright. No one’s gonna mess with me. Nachamu, nachamu ami are the opening words of what is called “Second Isaiah.” It’s a response to the devastation and upheaval of the destruction of the first temple and the beginning of the Babylonian exile—the historical event that may be more the foundational experience of the Jewish people than the mythic exile in Mitzrayim of the Exodus story. In the 6th century before the Common Era, the people are reeling as the world they knew has disintegrated into violence and chaos, loss and displacement. The survivors are exiles, refugees, dispossessed, occupied, traumatized, terrorized, lost and scattered in strange lands, their hearts and their faith broken. By the rivers of Babylon, there we sat, and we wept as we remembered our beloved home. We’re taught that this destruction culminated in the heat of the summer, on the 9th day of the month of Av, usually in late July or early August for us. So each year, we remember. We remember that our history is one of violence and trauma. We remember that this history prepares us to face the violence and trauma of our own times with compassion. And we remember that giving ourselves and others space to grieve, being open to our need for communal mourning, is what makes healing and renewal and action possible. This mourning, and the promise of comfort that immediately follows it, mark the beginning of the yearly cycle of truth-telling and renewal that takes us through the High Holy Days. 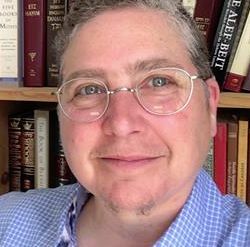 From the communal lament of the 9th of Av (July 30th this year), to the personal reflection of the month of Elul, to the shofar blasts of Rosh Hashana, to the deep teshuvah/inner turning and relationship tending of the Ten Days in between, to the fasting and prostration of Yom Kippur that bring us face-to-face with Truth of our lives, to the fresh and fragile joy of Sukkot, and finally to the exuberant dancing of Simchat Torah. This cycle is a practice of opening to the truths of our lives and our world, no matter how difficult—so that we can be present to what is. So that our energy isn’t drained by the gas guzzlers of avoidance, denial and repression. So that we clear the path for our creativity to flow and for our life force to bubble up like a spring. It’s a three-month spiritual cleanse that ends with a giant dance party – a party not to distract us from the truth, but a party to celebrate how the power of life moves through us even in a world as filled with terror as it is beauty. Our pain for the world, including the fear, anger and sorrow we feel on behalf of life on Earth is not only pervasive. It is natural and healthy. It is dysfunctional only to the extent that it is misunderstood and repressed. We have seen…how that repression happens in today’s culture and what it costs us…. The worldview emerging now lets us behold anew and experience afresh the web of life in which we exist. It opens us to the vast intelligence of life’s self-organizing powers, which have brought us forth from interstellar gasses and primordial seas. It brings us to a larger identity in which to cradle and transcend our ego-identified fears. It lets us honor our pain for the world as a gateway into deep participation in the world’s self-healing. For many of us, our world—and maybe more profoundly, our sense of what lies ahead—has changed drastically in the last year, and we are facing realities that are unprecedented in our lifetime. The ground is shifting under our feet, we don’t know who the next target will be, language itself is under assault and the most minimal standards of common decency have been jettisoned at the highest levels of our government. There is much to mourn, and it can be so hard to go there. What if we never get out? Our ancestors offer us a path through mourning and grief and out the other side to life. The first three weeks of August are “weeks of comfort,” leading us into the holy month of Elul. So let’s take some extra time in these late summer weeks to do whatever helps to open our hearts. 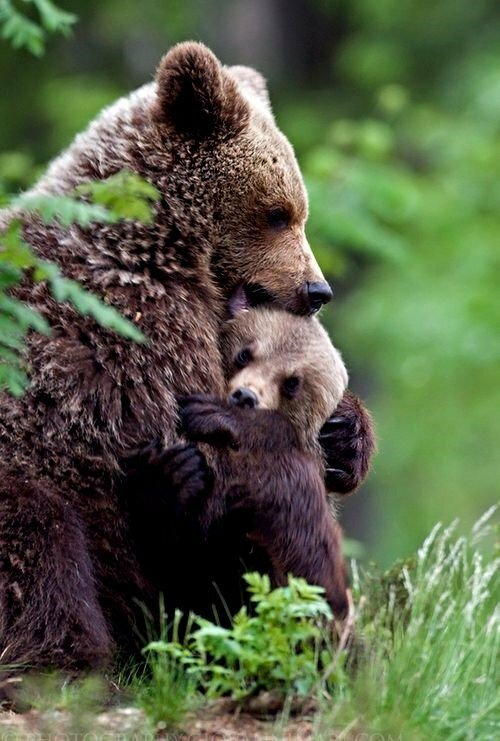 By walking this path together, as a community we can be that big loving mama bear for each other. The verse ends with the word “Zion” – I translate it here as “our beloved home” because I think that’s what “Zion” meant to the Psalmist, and in our time, the word “Zion” has taken on many complex meanings that weren’t part of the Psalmist’s experience.